On Saturday, I burned some time in downtown and stopped at the Embarcadero station to hop on the California Cable car. When I got to the top of the escalator at the mezzanine level, I noticed a huge line at the Clipper customer service desk. I had to scratch my head at the huge line and said to myself, "dang, that's the line?" I also quietly laughed because I just handled a purchase to my Clipper card in just under a minute, and it's only a few feet away from the booth. They are used for customers who wants to add value and passes to their card, apply for youth and senior cards, have questions about Clipper, replacing lost/stolen cards, and fix any problems with their account. I did notice a few with paperwork in hand to apply for specialized youth & senior Clipper cards, but a handful looked like they were in line to purchase their monthly transit passes since the new month is just a few days away. For those of you purchasing passes or needing to add Clipper e-cash value, there's an easy way to do it... go to the self-service automated machines within the Embarcadero station! There's even a banner over the Muni ticketing machines and the third party sales booth behind the line describing what Clipper services they can do (the third party booth was closed that day). Muni - Purchase e-transit passes and e-ridebooks for ALL participating agencies, and add e-cash (minimum of $5). Accepts cash, credit cards, debit cards, and commuter benefit cards. BART - Add Clipper e-cash only (minimum of 5 cents). Accepts cash, credit cards, debit cards, and commuter benefit cards. If you carry transit benefit checks (vouchers), you still have to claim it at the customer service desk, or you can go upstairs to the Walgreens. So, don't suffer in line if you need to buy a pass or add e-cash! All Muni underground stations can get you what you need (if only e-cash, use ANY BART station). BART's extension to SFO has been popular for travelers with decent prices that's less than a shuttle van and taxi, and gets passengers from the airport to downtown SF within 30 minutes. On the weekends, I notice the trains coming from SFO packed full of visitors and their luggage when I board the train at Daly City. BART now offers visitors an option to pre-pay for their fare and pick-up their tickets at a counter nearby the main gates at SFO in terminal "G." The voucher page is a little hidden in the BART website, but once you find it, you click on the link and can buy the voucher online from a third-party official contracted vendor of BART. You can purchase one of three options, a round-trip BART ticket from SFO to downtown SF stations, East Bay I (stations in East Bay, but closer to SFO), and East Bay II (stations furthest from SFO station). Once you purchase the voucher, you print it and bring it to the nearby counter at the BART gates to claim it for BART tickets. The tickets will contain cash value similar to purchasing a ticket at a vending machine. It sounds simple, pre-pay and you get your tickets at a customer service counter. Uh huh. How about the cost? The printable voucher for a round-trip ride from SFO to a downtown SF station (Civic Center, Powell, Montgomery, and Embarcadero) costs $18. There's no service fees, print-at-home charges, etc. It's just $18. But checking BART's fare table, a ride from SFO to a downtown station costs $8.10, so a round-trip ticket would cost $16.20. This means, BART is ripping tourists and visitors off by taking an extra $1.20 in profit for the online voucher program. Based on the website, there is no details if the $18 voucher purchased online will give the passenger a $18 BART ticket, or a ticket valued at $16.10, but either way, if a passenger is only riding BART to and from SFO, it's a definite rip-off to purchase the voucher. 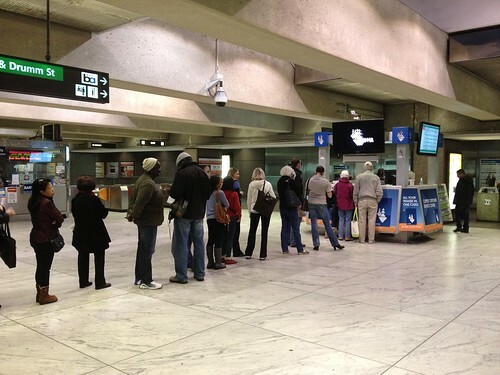 Just remember visitors, BART ticketing machines accept credit cards too, so save that $1.80! From a Twitter source I rely on, Jerold Chinn has mentioned the city is working on a deal to possibly expand the Muni "A" Fast Pass access on BART to also include Daly City Station. It's a big piece of news that's not getting a lot of media attention. Who wouldn't want extra access? The Fast Pass provides passengers the opportunity to ride BART within San Francisco with no additional fare. It's been a big hit for those who lives near a SF BART station and needs to reach their workplace in downtown SF or attends City College of San Francisco because it gets them there quickly without the hassle of riding a bus. But for SF State students, it's been a hot issue as the "A" pass does not cover Daly City Station; even though SF State is within San Francisco, Daly City is the closest station to the university campus. This forces students to choose to pay for BART in cash, or save money by taking a longer ride by utilizing Muni. What's up with Daly City BART? Daly City station is a very unique station as it lies right on the border between the two cities. Since BART declares Daly City Station not part of San Francisco, Muni does not have the privilege to allow their passengers to use their "A" fast pass, and all BART passengers who rides a train crossing the city border pays a surcharge, which costs a rider of a total of $2.95 to go from Daly City to Powell, and vice versa; while a ride starting and ending within SF is just a mere $1.75. To compensate for the surcharge, Muni offers all exiting BART passengers a coupon (or Clipper e-transfer) to ride Muni's 28, 28L, and 54 lines for free away from the station, and a free ride back within 24 hours of the coupon issued. SF State has also contributed to help people get to their campus with a free shuttle service where they run mini buses from the BART station to 19th Avenue & Holloway, and vice versa. Combining the efforts of Muni's 28 and 28L, and the SF State shuttle has provided students a free way to get to the main campus, even though they pay a premium for the BART service to reach Daly City. 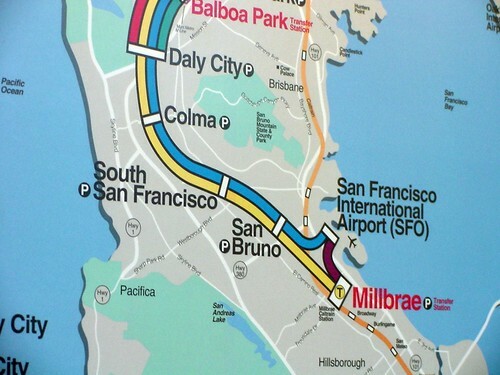 What would happen if BART allows the "A" pass to be accepted at Daly City? BART passengers who lives near Daly City and only rides BART to SF now has an unlimited ride option and would obviously save tons of money with a flat rate pass. Do the math: $2.95 one way from DC to Powell, times two (for round-trips), times 20 working days in January 2012 (not includes January 2nd and January 16th for holidays) = $118.00. By using a $70 pass, a passenger saves $48 a month, or $576 a year. Faster access for SF State students, meaning reduction in loads for Muni Metro's M-Ocean View and 29-Sunset lines (these are alternate ways to connect to SF State; M-Ocean View for downtown BART stations, and 29-Sunset for Balboa Park BART). Since no SF BART station has a parking lot, now there's a station that has one along the "A" pass boundaries. 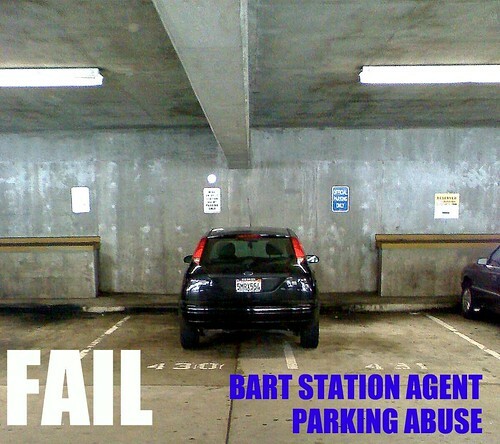 Perfect for those who attends games at AT&T Park and wants their car waiting for them after their BART ride, like me. Samtrans passengers who rides the feeder buses to Daly City also benefits with the flat price pass savings when riding BART. Increase in passenger loads on Muni's 28 and 28L lines. Increase in passenger loads on the SF State Shuttle. With a lower cost to ride BART and increases attraction to ride to work in downtown SF, it may cause higher demand for parking at the station's parking garage and lots. BART ticketing machines don't sell Clipper products, only e-cash. This means passengers would have to buy it at a retailer or at a Muni metro station. 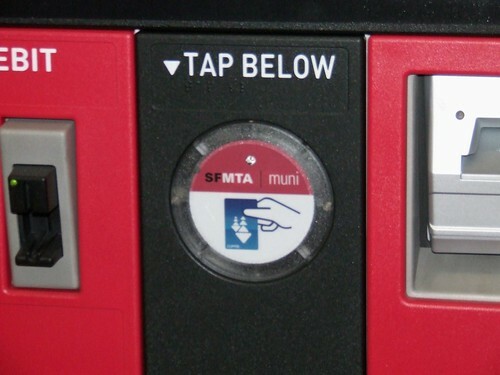 The possible end of free paper transfers for the 28, 28L and 54 Muni lines. If Muni is in a major financial problem, they'd likely kill the Daly City free ride transfers because it costs up to $4 per passenger for the free rides. Muni has to somehow compensate for the switch. Muni could decide to maintain the coupons for the Muni lines, but only offer the 25 cent discount, just like all SF BART stations have. Samtrans passengers may use BART Plus for unlimited rides on Samtrans and Muni, but doesn't give unlimited BART rides within SF/Daly City. In my opinion, I think it's a great idea. It's a great way for SF State students to get to campus. This will also encourage more people to use Clipper to ride BART and Muni to get to/from campus. Since I have a "M" pass, adding an extra $10 for the premium would help me during baseball season since a round-trip ride on BART from Daly City to Powell station already costs $5.90 round-trip. I would park my car at the station (free parking after 3PM weekdays and all-day on weekends), and take the train to/from the game. "Hey, what the f--- are you doing!?!?!?!" That's the first words I blurted out loud when I just exited the metro yesterday morning before 9AM. To those I offended by saying the f-word in public, sorry. I had to visit a local x-ray center to get my teeth scanned, so I took the M-Ocean View metro from my workplace at SF State to 14th and West Portal. When the train got to 14th Avenue, I exited the train, looked both ways to make sure it was okay to cross, and noticed a grey SUV approaching at about 300 feet towards the train in the right lane (the train was in the track lane on the left). There was enough time to reach the curb with the assumption the SUV would stop as well (even if the SUV was approaching, I could walk fast enough to cross), so I hopped off the train and was about eight feet away from the sidewalk/curb. Instead of the SUV stopping, it decided to keep driving through the stopped metro train with inches to spare from clipping me. To make matters worse, two other passengers stepped off the train (exited) and saw the SUV pass by IN FRONT OF THEM. That's when I yelled out, "HEY, WHAT THE F--- ARE YOU DOING?!?!" Instead of the SUV driver admitting to a mistake and quickly coming to a stop, it decides to quickly stop at the intersection and speed off very quickly down West Portal. As for me yelling out the f-word, I sure had a lot of people staring at me, but hopefully they knew why; that idiot driver could have mowed down up to three people, including myself. This brings me to the topic of the day: Why are people disrespecting the "Do Not Pass" laws when a light rail and cable car is stopped at a designated stop to discharge and accept passengers? Every time I ride the metro or the California line cable car I see it every time, some prick driver deciding to speed through while the vehicle is stopped to discharge and accept passengers. It seems to be worse on the California cable car line because tourists sometimes don't look both ways and you get a bunch of rude drivers who just doesn't obey the law; in one case, I was a driver, and stopped for a cable car discharging passengers. The taxicab behind me decides to blow his horn at me, so I give the driver the finger as more passengers discharge from the cable car. The law states that if a metro train or cable car is stopped to pickup/discharge passengers, a driver must stop behind the vehicle to allow the passengers to board and exit without fear of being hit. A driver can attempt to proceed/pass a railed vehicle on the right side only when the vehicle starts moving. In some circumstances, the boarding island will have a sign saying it's OK to pass, but at a reduced speed. You find these on Ocean Avenue for the K-Ingleside line where you can pass on the right, but only at 10MPH when the light rail vehicle is stopped at the island. In other cases, you can pass at full speed because the island has barriers to separate pedestrians from vehicles (e.g. St. Francis Circle metro stop, see photo by clicking here). In my case, 14th Avenue and West Portal didn't have a barrier, only a boarding island that only covers half of a one car train, therefore the "do not pass" law applies. 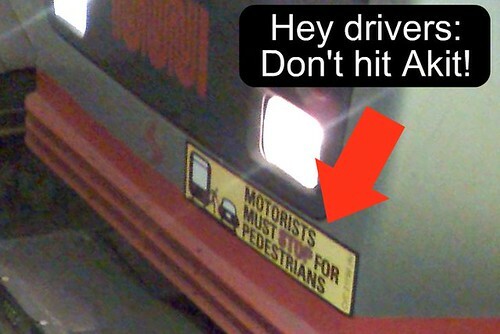 Drivers who violates the law: What's your damn hurry? Is it worth a $250 fine and a point on your driving record? Is it worth facing a judge in traffic court and possibly spending time at traffic school? It is worth raising your insurance rates? And is it worth possibly hitting a pedestrian, paying their medical bills/funeral costs, getting arrested, prosecuted, and spending time in jail? Hell no. So do me a favor drivers, when a metro train or cable car is stopped and passengers must exit by crossing a traffic lane, just stop behind it. All I need is more x-ray radiation to check for a broken arm, leg, and other stuff. 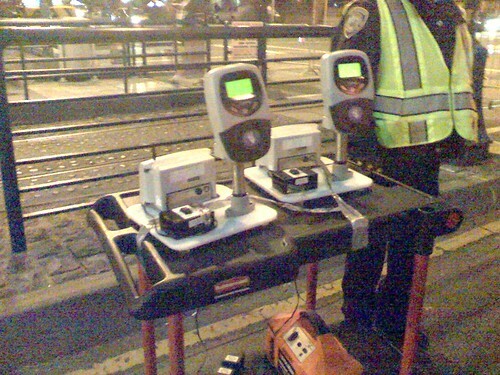 SFpark has been around for approximately nine months as a big experiment where us lab rats (citizens & visitors of SF) pay for parking on a market demand system with new parking meters that takes your credit cards, allows longer time to park, and an app that shows people about parking availability and prices (which initially failed). SFMTA/government - they rake money hand over fist because they jack-up parking rates during peak times and also accepts credit cards for those who doesn't like carrying a roll of quarters. Can that extra money help fix Muni? Off-peak parking rates - If you park in a garage like Japantown's, you pay only $1 per hour for parking before 9AM and after 6PM. The street spots are all taken, so the garage's $1 per hour fee is nice; especially they do it by the half-hour, so if you don't need a full hour, it's just $0.50 for every 30 minutes. Clear signage at garages - It's easy to know what the parking rates are with their big clear signage at the garage entrance. Walking an extra block - The SFpark map shows the parking rates for the pilot program's area. In some cases, just one block away, the parking rate is LOWER. For example, on Webster street, from 12PM to 3PM, it's $2.50 an hour, just across the street is just $2.00 an hour. Neighborhood stores & restaurants - With lower rates at non-peak times, it means more people will visit the neighborhood and patronize. For $1 an hour in the Japantown lot after 6PM, merchants can help bring in more of the dinner crowd. Parking still free at meters - Sundays, some holidays, and before 9AM and after 6PM is still FREE! The parking meters - It's nice to know that just a block away parking might be cheaper, but the meters don't tell you the parking rate until you park your car and read the little screen telling you that. Extreme variable parking rates - If the city authorized special parking rates for "special events" you could be paying outrageous parking fees (between $5 and $40), even if you have no interest or want to participate in the "special event." 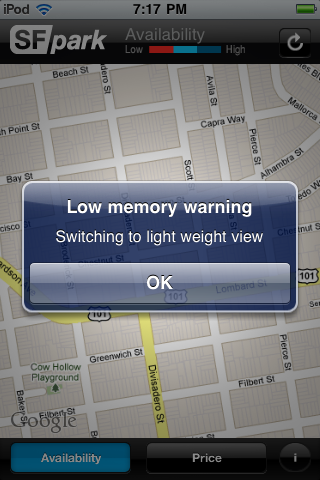 SFpark app - It's illegal to use a phone while driving, so how in the heck will you know what the parking rate or availability is? Peak-parking rates at garages - $2.50 an hour in the Japantown lot vs. going down the block and getting lucky with a street space for $2 an hour is a big deal for this broke blogger. PayByPhone service - 45 cent fee per transaction? At least using a traditional credit card has a ZERO fee. Future NFC payments for parking - There's very few NFC (near field communication) cell phones, such as the Google Nexus S that does NFC; the ever popular iPhone 4S and older iPhone models don't have NFC. Attitudes of consumers - To me, a change in the parking rate doesn't force me to drive less, park further away, or take the bus; if I find a parking space and it says $3 an hour, I'm going to pay it because I've already been driving around the block several times finding some kind of parking space. In my opinion, I like SFpark because the off-peak rates are very attractive, but the peak rates just wants to make a bigger hole in my wallet. 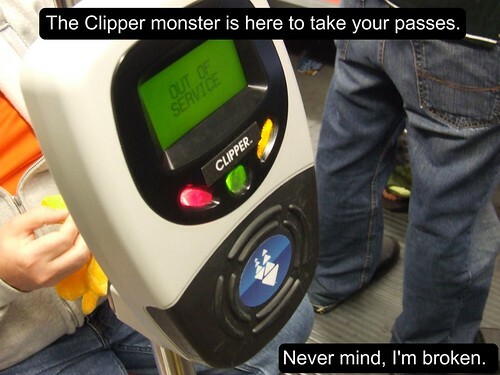 How long more until parking garages and meters will take Clipper cards? Side note: Sorry for prematurely publishing this blog post. I wasn't finished typing and editing; and accidentally hit the publish button.